It takes a village to raise a wine and it would appear the good burghers of Naramata have finally agreed to lay down some boundaries around their village. Let's hope it gets done soon because there is so much more to do. Here is the official release. 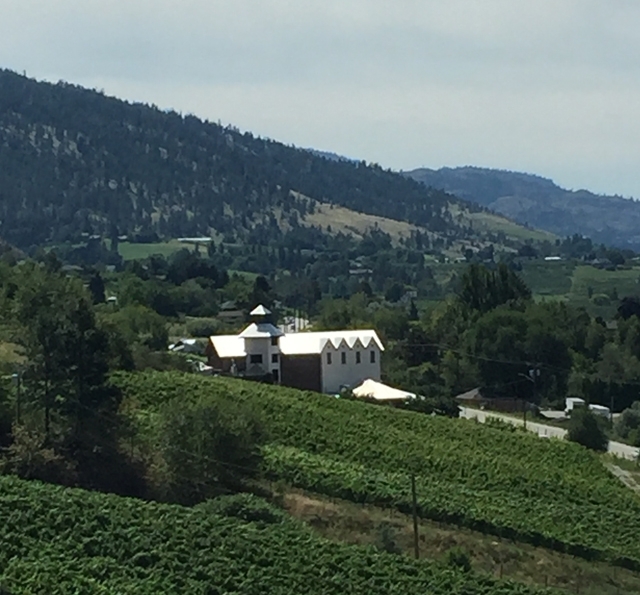 Penticton, BC (April 25, 2018) – A group of wineries located on the Naramata Bench wine growing areabetween Penticton and Naramata in British Columbia have submitted a proposal to become an official Sub-GI (Geographic Indicator). This new proposed Sub Geographic Indicator would be recognized within the geographical indication of the Okanagan Valley as per the regulations of the Wines of Marked Quality of the BC Wine Authority. The push for development of Sub-GI’s stems from recommendations made by the Appellation Task Force in 2015. Scott Smith, M.Sc. P.Ag, Soil Scientist, an independent consultant, and Pat Bowen, Ph.D , research scientist at Summerland Research and Development Centre, established a boundary configuration for the sub-GI following consultation and described the area in scientific terms. The submitted report provides an in-depth review of topography, climate, soil and other geographic factors that define the area. The ‘Naramata Bench’ brand is firmly established as a regional reference within the BC wine and wine tourism industry and the new appellation will help identify the region as a premium wine producer. The proposed Sub-Geographic Indication (Sub-GI) covers an area along the east side of the Okanagan Valley from Okanagan Mountain Provincial Park in the north to Penticton Creek within the City of Penticton in the south. The area includes approximately 250 ha of vineyards and over 30 wineries. The proposal was submitted to the BC Wine Authority (BCWA) on April 23rd. The BCWA will conduct stakeholder consultations within the region and a vote by ballot amongst registered members within the proposed region’s boundaries. This voting process includes 31 member wineries and 181 registered vineyards. A survey of stakeholders in mid-2017 showed strong support, so once due diligence has been completed, the BCWA will then submit the proposal to the Minister of Agriculture for approval. Any enquiries about the status of the proposal should be directed to the BC Wine Authority (http://www.bcvqa.ca). Copies of the proposal can be found at the BCWA Media section.